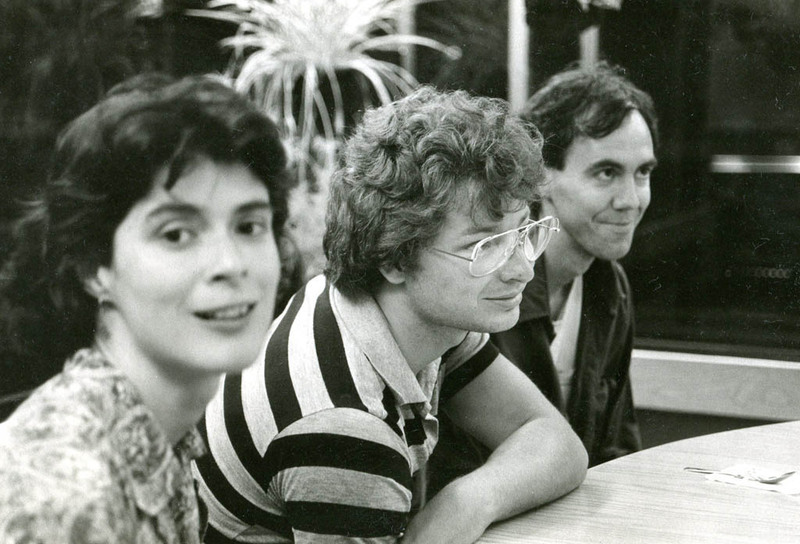 Gretchen Schaefer, Dan Knight and Jeff Stanton at Frosty’s doughnut shop, Brunswick, July 1985. We were in Brunswick to see a solo concert at Bowdoin College by Richard Thompson, who was wearing a pink suit that clashed quite splendidly with his red hair. Having interviewed him for a Press Herald advance a few weeks earlier, I felt entitled to corner Thompson backstage and force an FJ tape on him. Hubley Archives.